BCC Suzuki Blackburn would like you to join us for The World’s Biggest Coffee Morning taking place Friday 28th September 2018, raising money for Macmillan Cancer Support. All the team will be taking part in a special bake off and will be selling their delicious cakes to customers. 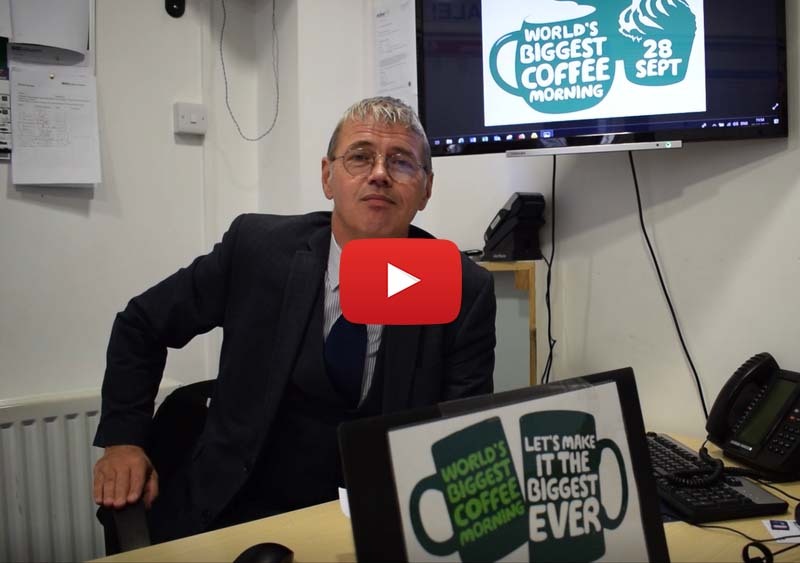 Here is Martin McGrath, Sales Manager at BCC Suzuki Blackburn, telling you more about the Coffee Morning. Make sure you come down and buy some of the delightful cakes that will be on offer and help us raise as much money possible for Macmillan Support, thank you.